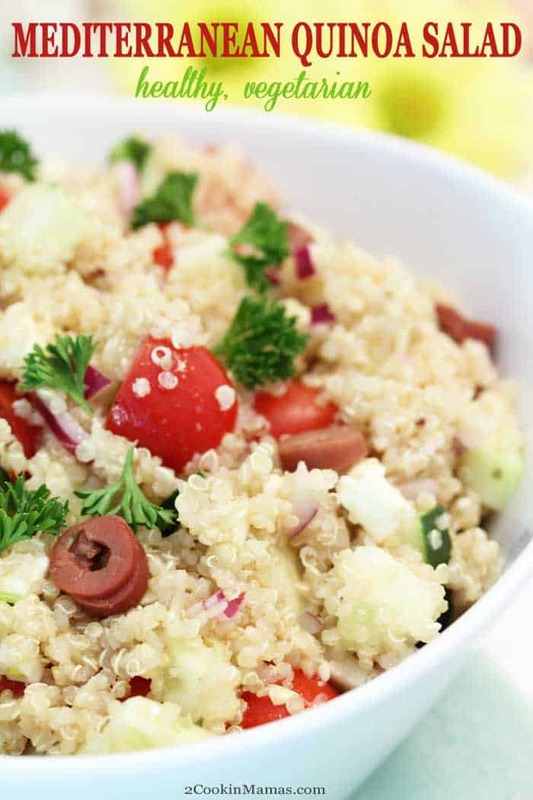 Healthy Mediterranean Quinoa Salad is a deliciously cool salad that’s perfect for the warm summer days ahead. 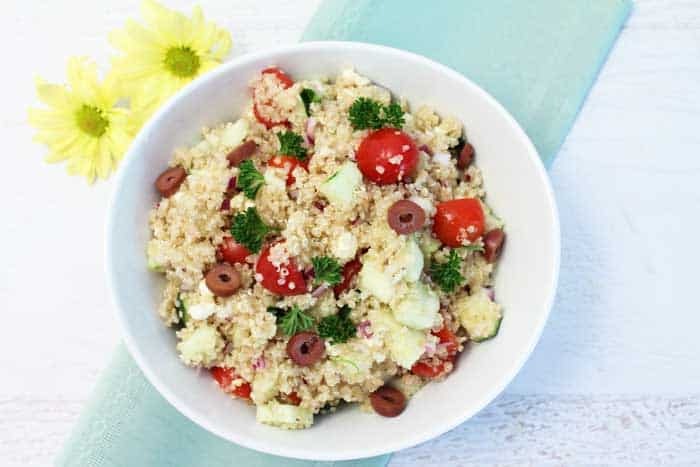 Quinoa is combined with cucumbers, tomatoes and the best of Greek flavors, olives and feta cheese, then dressed with an olive oil dressing to give you a heart-healthy lunch, vegetarian dinner or an easy side dish. I love quinoa! There I said it! 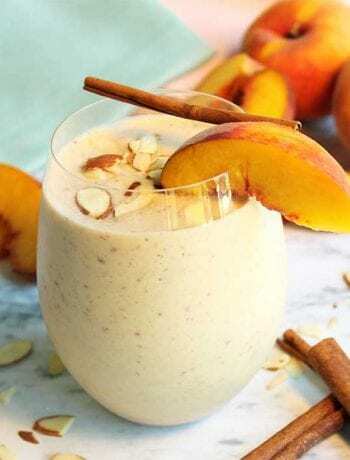 It seems that since it exploded on the market in 2013 it has gone through ups and downs in popularity but there are some of us who love what this protein rich grain brings to the table, no matter what. Quinoa is a healthy, protein-rich whole grain and is so versatile that it can be used as an ingredient in breakfast waffles, salads, main meals or substituted for rice in side dishes like our Spanish Quinoa. It is also naturally gluten-free. For those that are trying to eat a little healthier this whole grain delivers essential vitamins, minerals and fiber as opposed to pasta and rice which are simple carbohydrates and are quickly digested leaving little or no nutritional value. Besides being the perfect protein, quinoa is high in anti-inflammatory phytonutriens and heart-healthy fats too! It seems like a win-win to add this to your diet. 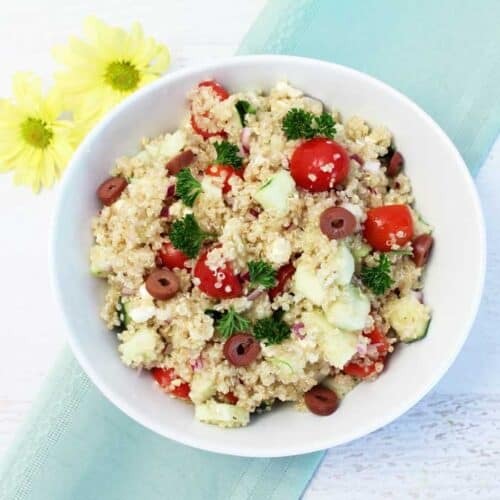 So with spring here and summer fast approaching it seemed like the perfect time to share this refreshing and filling Mediterranean Quinoa Salad with you. 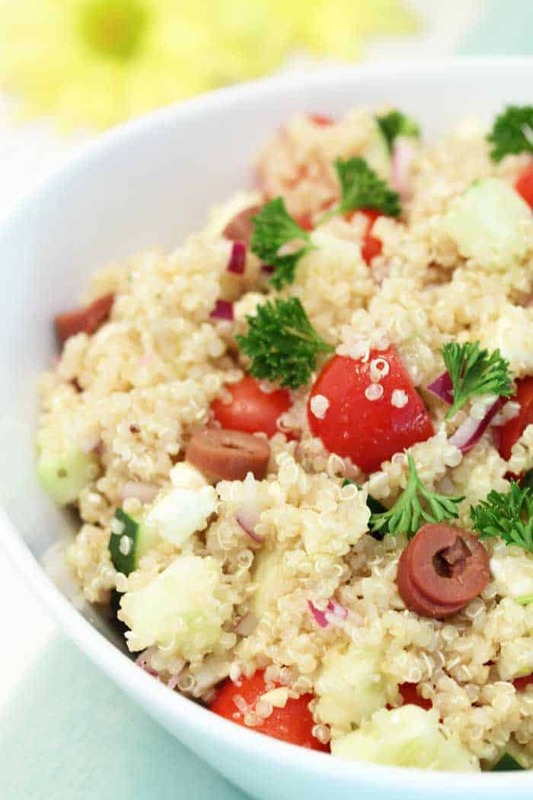 This quinoa salad is so easy to pull together and quick too as it can be on the table in as little as 10 minutes with prior-cooked quinoa or about 30 minutes if starting from scratch. In fact, I’d venture to say, cooking the quinoa is the hardest part. 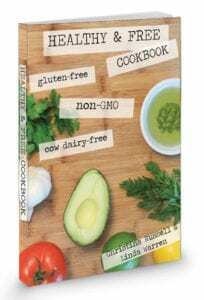 But if you’re in the habit of prepping some of your meals on the weekend for the busy week ahead, you can cook up a batch of quinoa on Sunday and use it in a number of recipes throughout the week. Recipes like our Sriracha Shrimp and Chorizo, Quinoa Tabouli and, of course, this Mediterranean Quinoa Salad. 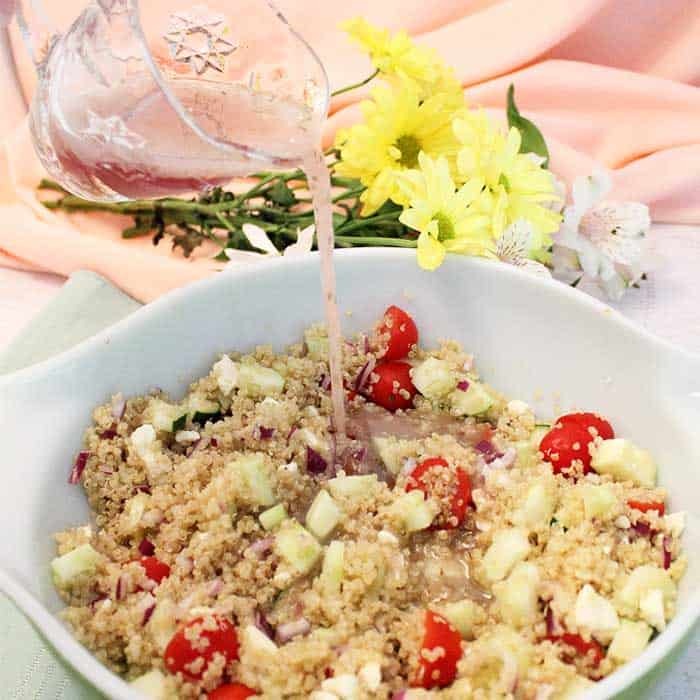 After the quinoa is cooked, which can be done in either chicken broth or vegetable broth, you just toss it with cucumbers, tomatoes, red onion, olives and feta cheese. To top it, just mix olive oil and red wine vinegar with lemon, garlic and oregano and drizzle over the salad. It’s best to let the quinoa salad set for an hour or so to let the flavors meld together. Then just wait for the oohs & aahs to come rolling in. I like to pack mine up for weekday lunches and use the rest for a light dinner side dish. And, if you’re like me, I double the recipe so that I can keep eating healthy all week. 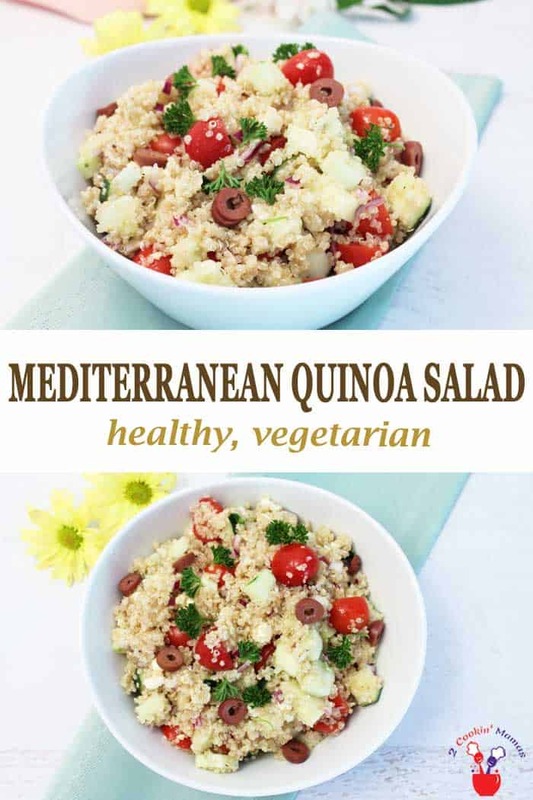 Healthy Mediterranean Quinoa Salad is a hearty and healthy recipe that’s perfect for the warm summer days ahead. 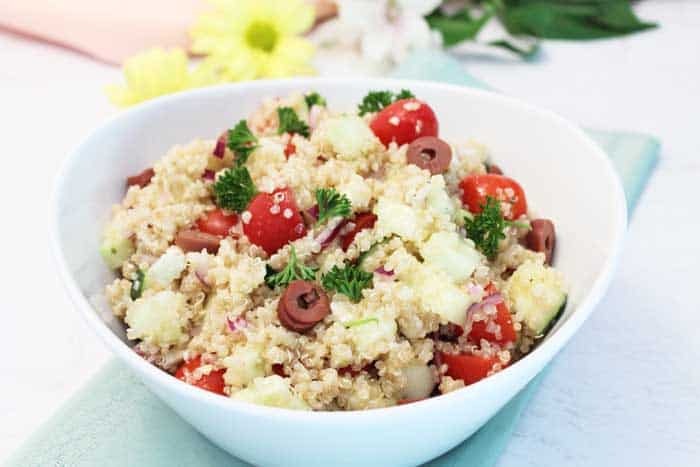 Quinoa is combined with cucumbers, tomatoes and the best of Greek flavors, olives and feta cheese, then dressed with an olive oil dressing to give you a heart-healthy lunch, vegetarian dinner or an easy side dish. Cook quinoa with chicken broth according to package. Drain and transfer quinoa to medium bowl and fluff with fork. Set aside and let cool. In small bowl, whisk dressing ingredients together until emulsified. 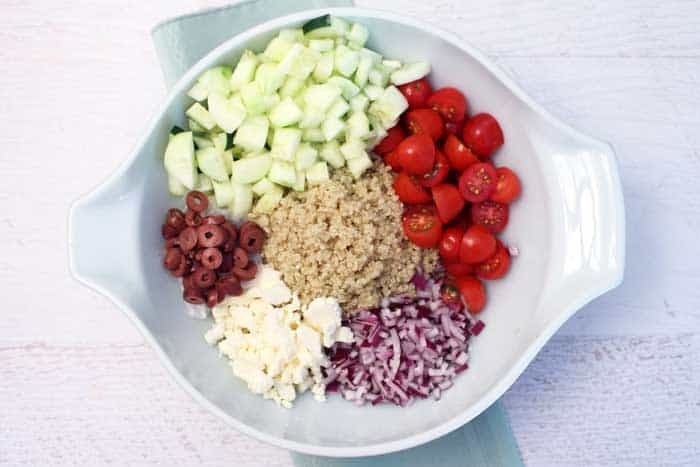 Add cucumber, tomato, onion, olives, and feta to cooled quinoa. Pour dressing over quinoa salad and stir. Cover and refrigerate for 1 hour. Serve chilled with a garnish of parsley. 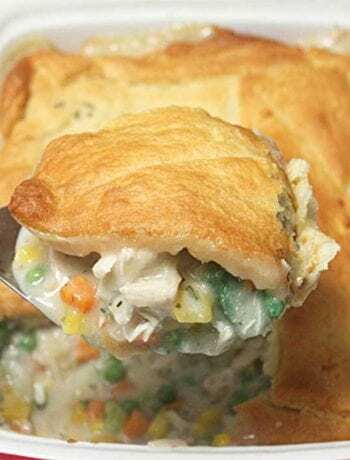 This looks so refreshing, I would love to add some rotisserie chicken to it to make a light meal! That sounds like a great idea! And it’s still healthy and quick too. 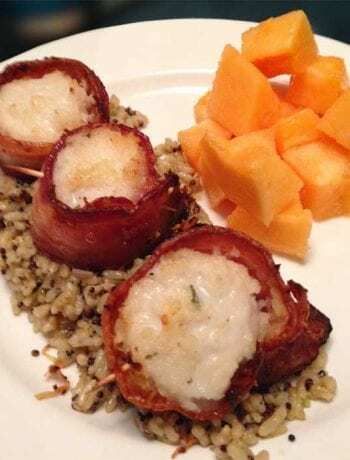 This would be such a good make-ahead lunch! I bring it for lunch all the time! And it’s perfect – filling but not too heavy so there’s no afternoon slump. 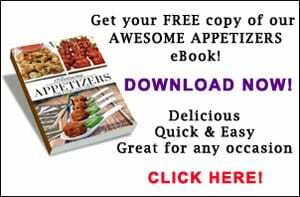 I love Mediterranean inspired dishes and this is right up my alley! So many gorgeous flavours and love that there’s quinoa too, it’s such a wonderful, versatile ingredient! Ah, a girl after my own heart! I love quinoa and use it as often as possible. And it’s great in this salad as it absorbs all the delicious Mediterranean flavors. I love salad bowls like this in summer and spring, though never thought to use red wine and vinegar to top it all off. Can’t wait to give it a try! 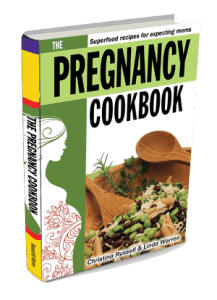 Its a very light vinaigrette which gives the mixture moisture and a subtle flavor that brings all the ingredients together Hope you like it! Quinoa is a staple in our house too. Love this Mediterranean version! Yay! Another quinoa fan! Isn’t it just the greatest? And it’s really the perfect base for all these wonderful Mediterranean flavors.